How Much Is An Electric Scooter? The electric revolution is here with us and the electric scooter is somewhat leading the way. Electric cars are now accepted as a viable alternative to fossil fuel powered cars. Not only do we have electric sedans, sports cars, and in the even semi-trailers trucks. Moreover, as more and more people come around to the idea of using electric-powered vehicles, the uptake of these forms vehicles will increase. That being said, you should also note that currently there are inadequate recharging stations, a consideration that is somewhat curtailing the uptake of electric vehicle en masse. However, that should not deter us from enjoying electric-based means of transportation as there are numerous electric powered transportation vehicles to enjoy. For instance, the electric scooter is a very good personal mobility vehicle to consider. There are numerous electric scooter options to choose from. As such, it far easier for the masses to invest in electric scooters than electric cars that require massive support infrastructure that has not been built yet. Importantly, you can rest assured that you will find a scooter that meets your needs. Now, the big question is, how much do electric scooters cost? There is no standard price. 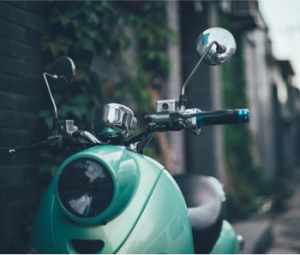 Just as it with any other product in the market, scooter vary in prices, usually from as low as $400 to as high as $6,000. In between this price, spectrum has numerous options. Therefore, it is easy to find a scooter that suits your budget. For a better understanding of scooter prices, you need to explore the various aspects that influence pricing. Herein we will delve into the typical considerations that determine the price of a scooter. Electric scooters come with different motors. On the lower end, you will find scooters such as the $749 Glion Dolly scooter that has a 250-watt motor. On the high-end scale of scooters, you will find such as the $5,950, Works Electric’s BR2 that has a 4000-watt motor. As you can appreciate, generally speaking, the higher a scooter’s motor performs, the more expensive it will be. You should also note that the scooter’s motor will play a role in determining its speed. While other factors such as weight may come into play, the motor power is the leading speed determinant. As such, whenever a scooter is rated to have a higher speed, you can expect to pay more for it when compared to a scooter with lower speeds. Battery performance is another consideration that influences not only the performance of a scooter but also its price. There are two factors to consider with regards to battery performance – the charge time and the endurance of the battery. A high-end battery system will have a relatively faster charge time while at the same time it will have exceptional endurance. This is to mean that the scooter will have charge much faster and longer on a single charge. The opposite is also true. The cheaper variety of electric scooters will take relatively longer to charge and still have a much lower usable charge for you to make use of. Do note the combination battery and motor performance will influence the range of a scooter. (picture – https://images-na.ssl-images-amazon.com/images/I/51g4pQvW9uL.jpg) Another price determiner is the general design. There are as many design philosophies in the electric scooter market as there are scooters. For the most part, each scooter will have its own design, and, therefore, every scooter’s price will be determined differently. To this end, scooters with intricate designs such as the foldable, mountain, and off-road electric scooters variety will generally cost much more, when all other factors are held constant. This is because they take longer to design, using more manpower and resources than your typical electric scooter. Furthermore, an electric scooter that is designed to be exceptionally sturdy will cost more. This is because it will use advanced materials that cost more than the standard steel. For instance, carbon fiber electric scooter will cost more than the aluminum scooters, which in turn will cost more than the steel scooters. With regards to weight, there are two elements that influence the cost of the scooter. The weight of the scooter and the maximum carrying weight. A lightweight scooter will be more expensive than a heavier scooter as it makes use of advanced materials, as explained in the section above. As for carrying capacity, the higher the carrying capacity, the more expensive it is. This is because scooters designed to have higher carrying capacity tend to be sturdier with robust motors. This increases their cost significantly compared to scooters will lower weight bearing capacity. Just as it with any motorized vehicle, the addition of extra features will increase the cost of the unit. As such, electric scooters that have extra features, whether it be safety features or user-experience enhancing features, tend to cost more. Additional considerations that affect pricing in the electric scooter market is the brand value and the build quality.